According to a recent report, the Malaysia Digital Economy Corporation talent director said that when deployed in the right context, blockchain has the power to bring unique and possibly disruptive changes to certain business problems. The prospects are endless. Blockchain tech could replace everything from clearing and settlement systems, passports and land deeds registries to supply chains that are paper-based, with a new software structure that will reconcile and manage everything without human intervention. 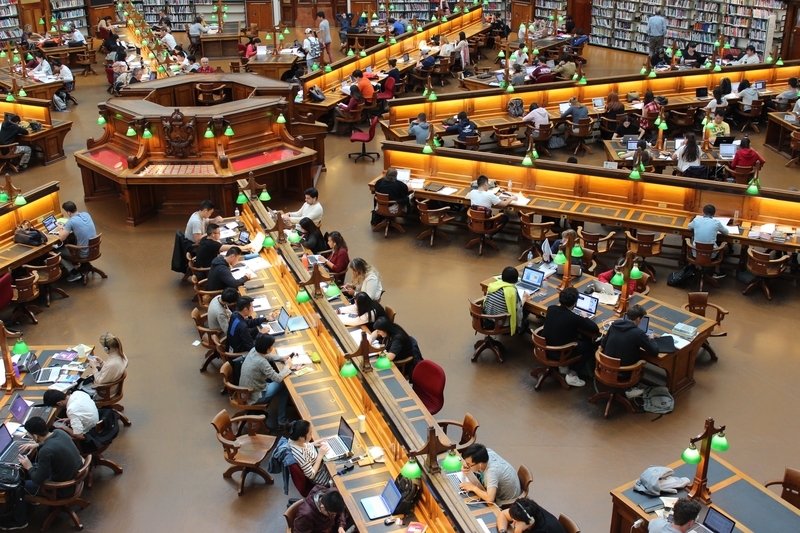 For those in academia and students at higher institutions of education, perhaps the more pertinent questions are the impact of blockchain technology on the workforce, the expertise needed and the professions in demand. Local tertiary institutions are taking note of the rise of blockchain technology and are responding to its possibilities. As blockchain technology has the potential to disrupt all industries, the workforce will have to adapt to the changing environment where third-party intermediary services may potentially become obsolete. The project director of blockchain platform provider said that businesses must realise that blockchain can either reduce their operating costs or provide services to previously unreachable customers. He added that the key to this scenario is education. Business owners must understand the concepts of blockchain to be applied in their business, and software developers have to translate those concepts into systems. He stressed that the academia must focus on blockchain technology as “this will be the way we transact globally in the future”. He stated that schools and universities must prepare students with the necessary skills and information to conceptualise business use cases and produce technically-inclined graduates to build these systems. A senior lecturer at Universiti Teknologi Mara (UiTM) Faculty of Computer and Mathematical Sciences, observed that there is a need for computer scientists with knowledge of blockchain who are well-versed in the financial and banking sector. He noted that blockchain technology should be included in the syllabus at the university. People may closely associate blockchain with crypto-currency but the technology can be utilised in other areas such as the smart contract, a feature in blockchain that enables online agreements to be devised hence reducing dependence on legal firms. The Malaysia Digital Economy Corporation (MDEC) talent director said blockchain does not introduce many new demands on the workforce. She noted that, essentially, it is a new component in a system, similar to cloud, OS (operating system), networking, databases, visualisation and data analytics. However, a knowledge gap has to be bridged. Solutions developers need to understand how to apply blockchain technology — in contrast with traditional solutions — to solve existing business problems. Blockchain technology is sufficiently different from existing IT solutions to require new modules. These include blockchain architecture and design that should be introduced as an additional module in software engineering, computer engineering and computer science courses; and modules for new programming languages to write smart contracts. Electives in computing-related and other non-computing courses include blockchain use cases, privacy implications, governance, and regulatory and policy implications. UiTM will be introducing four courses with a focus on blockchain targeted at students and the masses alike according to the lecturer. The introductory Fundamentals of Blockchain course is for the public; Blockchain and Cybersecurity is a technical course on the technology and its implementation in cybersecurity for the public and students; Blockchain Technology for Developers is for computer science and related students, and Blockchain Technology for Practitioners takes a technology user approach for non-computer science students. The aforementioned blockchain platform provider is embarking on a host of activities to prepare the future workforce for blockchain. Noting that the firm recently organised a hackathon for university students to spread awareness and connect youths and our corporate sponsors to learn the problems companies face and how blockchain is able to solve them. MDEC, in collaboration with industry partners, has signed an MOU with local universities to engage in blockchain research development. These universities include International Islamic University Malaysia and Tunku Abdul Rahman University College. The talent director added that under the Premier Digital Tech Universities and Preferred Industry Polytechnics initiatives, lecturers and students are exposed to this technology in the form of several tracks, which include lecturers’ development, undergraduates industry immersion programmes and industry-driven final-year projects. This is under the umbrella of structured industry engagement strategy called Platform of Real Industry Driven Exchange. Universiti Putra Malaysia (UPM) is taking a different approach to collaboration in the blockchain. The head of the Translational Research and Innovation Programme at UPM’s Putra Science Park Innovation Promotion and Marketing Division, is looking into a blockchain-powered project. He noted that efforts are being made to identify the best model and partners to make the project a reality. The aim is to introduce traceability in agriculture. His team is also developing a blockchain-based system that will give democratic power to consumers that will enable them to decide whether or not to buy a certain product. Thus, academia across Malaysia is being revolutionised by the novel ways of introducing blockchain into the curriculum.